Having trouble sleeping at night is not as uncommon as you might think. Each person has his or her own reason, though around 22 million Americans suffer from sleep apnea. If left untreated, sleep apnea can significantly impact your daily life. 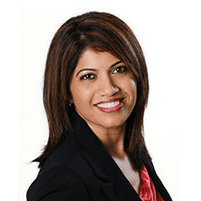 At Perfect Smiles Dentistry in Everett, Washington, Kavitha Gowda, DDS, specializes in treating men and women with sleep apnea-related complications. Call to learn more about how you can manage your sleep apnea. Sleep apnea has the same symptoms regardless of the type. The longer you wait to have your sleep apnea checked and treated, the higher your chances of developing high blood pressure, heart disease, diabetes, certain cancers, and problems relating to your kidneys, livers, eyes, and more. Many factors contribute to contracting sleep apnea, and a combination of environmental and personal factors can significantly increase your chances. Men are typically most affected by sleep apnea, though both men and women struggling with weight, alcohol, tobacco, or sedative overuse are at higher risk. In other cases, people with a thick neck, nasal congestion or narrow airways are more susceptible to developing sleep apnea. Dr. Gowda can help you develop a healthy daily regimen to reduce your chances of contracting sleep apnea. A team member at Perfect Smiles Dentistry starts by studying your medical history to track any irregularities. From there, they perform a physical exam and recommend various potentially helpful sleep studies. Sleep apnea can severely impact your day-to-day life. Call or go online today to get in touch with a team member at Perfect Smiles Dentistry.